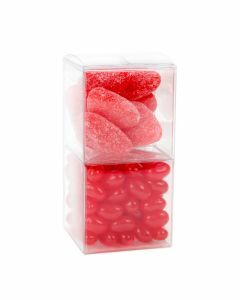 Nested box tower sets take candy and gift packaging to new heights. 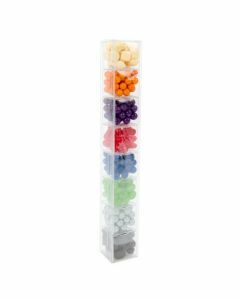 Mix and match varieties to create a candy tower or a themed gift set. 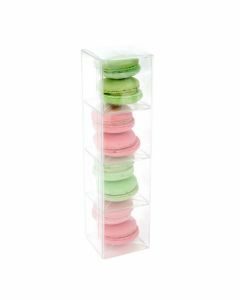 Nested boxes offer a fun way to showcase small quantities of similar products. 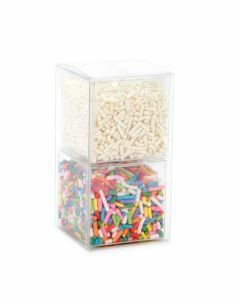 All nested boxes are food safe and Crystal Clear. Nested Box Sets bring couples together, a couple of products, that is. NBS7 is our set that two 1 1/2" cubes (PLB103) and one outer box (PLB337) that measures 1 5/8" x 1 5/8" x 3 1/8". This set is perfect for holding two pieces of chocolate and make ideal gifts. Package spices, herbs, sprinkle mixes, favors, and more. Food safe. Are you looking for a cute and unique way to package multiple items? 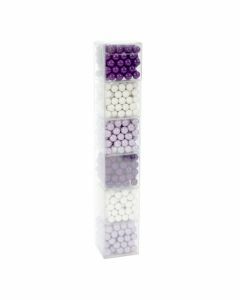 NBS1 is our nested box set that three 2 inch cubes (PLB104) and an outer box (PLB327) that measures 2 1/16" x 2 1/16" x 6 1/8". 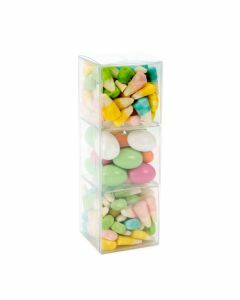 Showcase a variety of candies, spices, crafts, favors, and more. 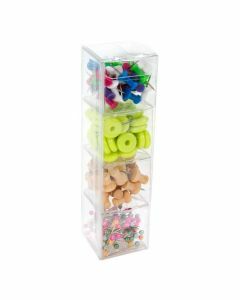 The pop and lock bottom shapes boxes into place for an easy assembly. Food safe.